Air conditioning, once considered a luxury, is now essential. Did you know there are several benefits to having air conditioning? Maybe some you’ve never thought of! Air conditioning circulates and filters air which removes pollutants and mold. This is beneficial to those who suffer from allergies and asthma. Air conditioning controls the temperature in laboratories and pharmaceutical companies which is crucial. It helps these industries make medical advances and ensures research and development are not compromised. Air conditioning can help you sleep better. When our bodies are hot our heart rate and blood pressure rise which can make it hard to sleep. A cooler room makes for a better night’s sleep. Air conditioning can help protect your furniture and belongings. Humidity that often comes along with heat can warp wood, rot leather and cause mold. Controlling the temperature with air conditioning can remove the humidity. Let’s face it, air conditioning can also improve your mood. Being too hot, sweaty and sticky can leave you feeling miserable. 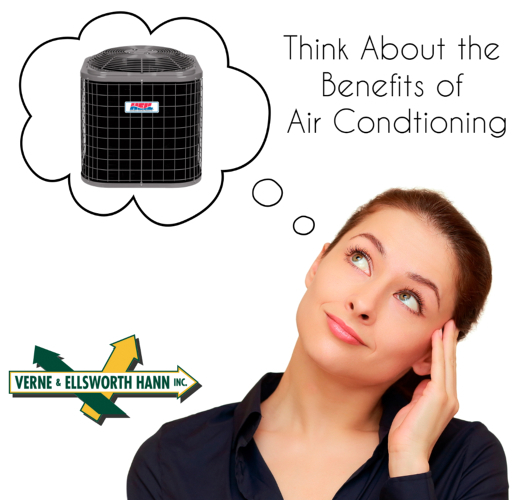 Do yourself a favor, call Verne & Ellsworth Hann and start enjoying all the benefits of central air conditioning! Located in Cleveland Heights, Verne & Ellsworth Hann has been servicing the Heights area and Northeast Ohio for over 63 years. 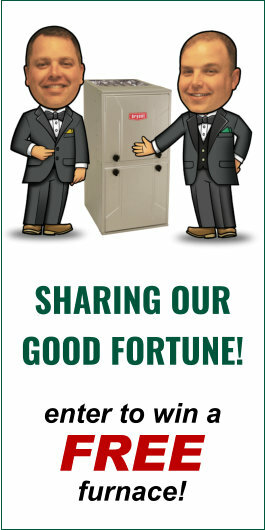 With 5 generations of family experience, Verne & Ellsworth Hann is the ONLY Hann family owned heating, cooling and plumbing company in Cleveland.